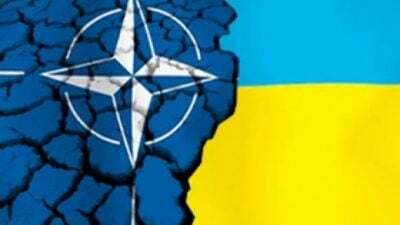 Despite the mainstream media’s insistence that U.S. President Donald Trump is some sort of compromised Russian lackey, the fact is that at the end of last year, his administration approved the largest U.S. commercial sale of lethal defensive weapons to Ukraine since 2014. This is a move that clearly infuriates and angers Russia, souring relations between the two countries even more so than they already had been under the Obama administration (and in various stages throughout Trump’s first year in office). “You’d never know from most of the reporting that far-right nationalists and fascists have been at the heart of the protests and attacks on government buildings,” reported Seumas Milne of The Guardian. Just days ago, thousands marched in Kiev to celebrate the anniversary of far-right nationalist Stepan Bandera’s birthday. In other words, the Trump administration is actively propping up a failed administration in Europe, which does not have the support of 15 percent of its people. Even the far-right militias in Ukraine seem to have more support than the current government. Meanwhile, the U.S. has done nothing but its utmost to tear apart the respective democratically elected governments in Syria and Iran, both of which have fargreater approval ratings than do Poroshenko and his administration. Russian Deputy Foreign Minister Sergei Ryabkov said Washington’s recent decision to arm Ukraine will only make the conflict more deadly and suggested that Russia could be forced to respond. “[The U.S. is] not a mediator. It’s an accomplice in fueling the war,” Ryabkov said in a statement. Clearly, Russia has a vested interest in not seeing another NATO ally on its borders, capable of pointing American missiles in its face on a daily basis.